We offer a variety of sizes and types of dumpsters to meet your specific project needs at competitive prices. Don't pay for dumpster space larger than what you need. Prices for our dumpster containers are quoted on an individual basis, depending on your needs, the number of containers, type of material and location. 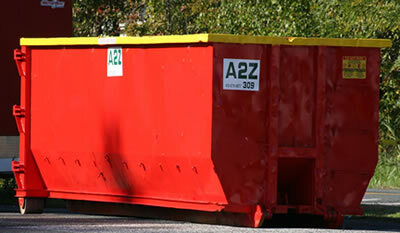 Dumpster Rentals: A2Z was contracted by Baltimore County, Maryland to provide 30 yd dumpster containers to be used for Community Clean-Up projects. We come to you! Whether you are doing a thorough spring cleaning, just cleaning out your basement or garage, or remodeling your home, we can provide the perfect dumpsterfor your project. You can finally clear your home out quickly of all that unwanted and unused junk. Whether it's cleanup needed after a major construction job site cleanup, demolition remnants, renovation projects, remodeling homes, or putting on a new roof, our team of professionals can deliver the right size dumpster to you at any time. 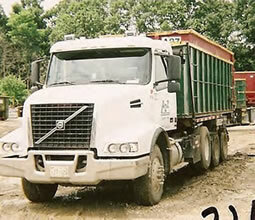 We guarantee prompt service, friendly drivers and a commitment to customer satisfaction. Anne Arundel County, Baltimore City, Baltimore County, Carroll County, Cecil County, Harford County, Howard County.